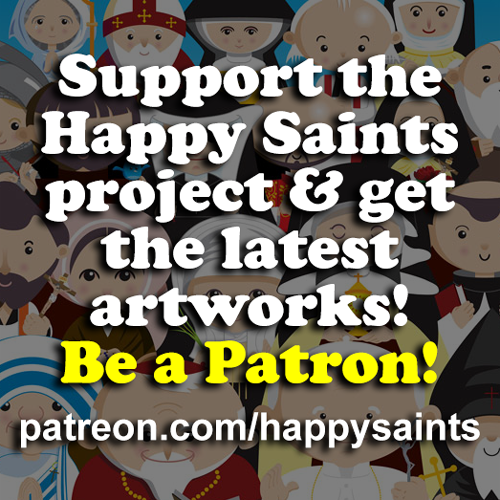 Happy Saints: Get the latest Happy Saints artworks! Get the latest Happy Saints artworks! Hi folks, every month I post 2 new Happy Saints to my Patreon Page. Through the generous support of my patrons, I have been able to create new artworks such as St. Alban, St. Bridget, St. Jeanne Jugan, St. Stanislus Kotska and many more! In return, my patrons receive the latest artworks in high quality formats. They have been such a blessing.